Michael Russell announced the measure as he updated MSPs on EU exit preparations. 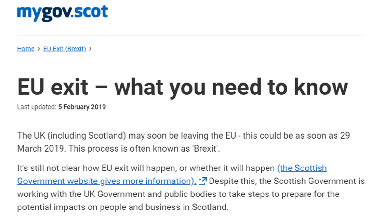 The Scottish Government has launched new website dedicated to informing the public about Brexit. 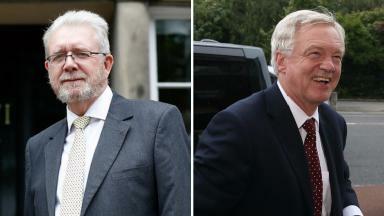 Constitutional relations secretary Michael Russell said the site is part of an awareness-raising drive to help prepare Scots for different EU withdrawal scenarios. In a ministerial statement, he told MSPs that contingency planning for a no-deal Brexit has been "steadily intensifying" since the turn of the year. The "EU exit - what you need to know" website provides information on how Brexit could affect areas like business, education, the environment and food and medicine supplies. 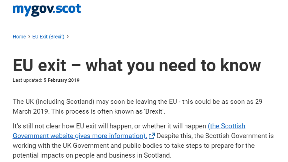 It also has a section specifically for how EU citizens living here may be impacted, as well as a database of contact details for public bodes across Scotland. 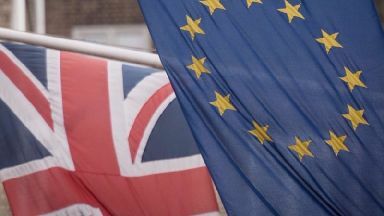 Last year, the UK Government published a number of technical notices for British businesses and citizens on how to prepare for a no-deal Brexit. 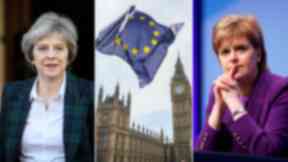 With only seven weeks until the UK is set in statute to leave the EU, Russell told MSPs that the UK Government did not have enough time to push through Parliament the hundreds of statutory instruments it wants to pass before exit day on March 29. He reiterated the Scottish Government's longstanding view that Article 50 should be extended, which would postpone Brexit day. Russell said: "Firstly, the Prime Minister must seek an extension to the Article 50 process no matter what other tasks she has set herself. "That is essential even in legislative, let alone economic and political, terms. "Secondly, she, or the House of Commons, must take formal legal steps to rule out a no deal which would reduce the pressure on businesses and individuals, as well as on the parliaments of these islands." He added: "The Scottish Government does not intend to replicate the UK approach of publishing a myriad of technical notices. 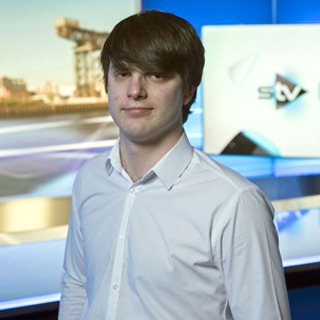 "Where those affect Scotland or Scottish issues, we are happy to see those distributed and have done our best to influence them. "We will, however do all we can to ensure that the people of Scotland get a clear, consistent message about the work that is being done and what actions they need to take. "We have therefore launched a public information website to provide important advice around issues such as transport, food, medicines and citizens' rights." The site can be found at mygov.scot/euexit.